Impeccable Service & Exceptional Craftsmanship Guaranteed. With full UK coverage, our signature combination of expertise, knowledge and service has quickly estabilshed North West Renewables as a go-to name in our industry. We spcialise in commercial boiler installations, temporary boilers and luxury bespoke bathrooms. Get in touch with our team today to discuss your requirements. 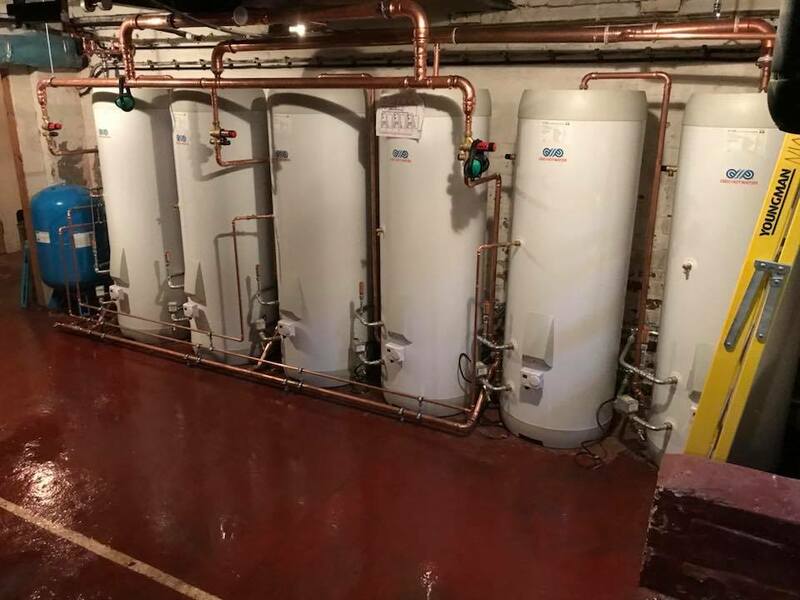 Whether you are looking for a new Bio-Mass boiler installation for your business or a luxury bathroom for your home, our in-house design team have the skill to exceed your expectations. We know how important an efficient, reliable heating system is to your business. This is why our commercial boiler systems offer upto 100% efficency! New, much more efficient system with no down time for your business. 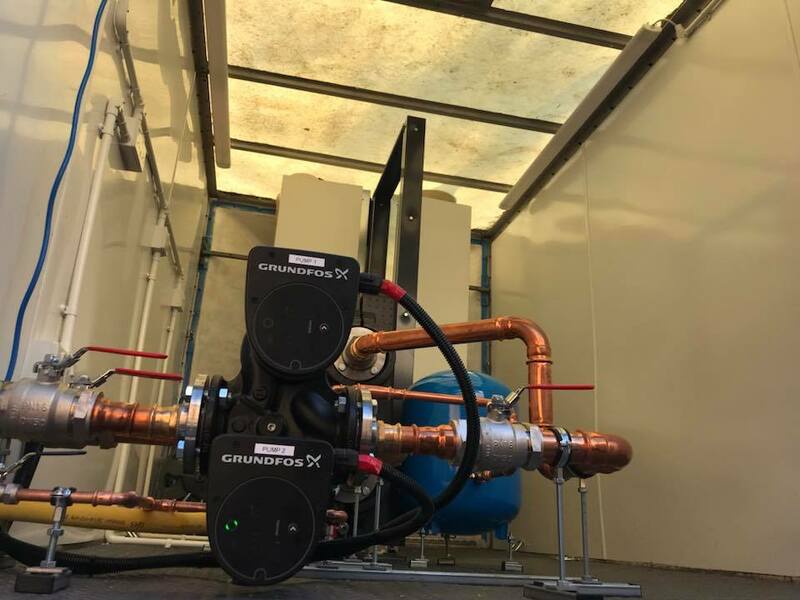 Thanks to our temporary boilers, we are uniquely positioned to provide on site temporary boilers that will keep your business running while our engineeers work hard to install the new system in your plant room. Get in touch today to begin discussing your new, energy efficient boilers with our talented, friendly team. Any disruption to your heating and boilers while maintenance and repairs are carried out is costing your business money. Our temporary boiler hire service is here to ensure that doesn’t happen. With up to 3MW of power, we can keep schools, colleges, hotels and even hospitals running smoothly while your traditional boiler system is being repaired or replaced. Get in touch touch with our team or experts now to discuss a temporary boiler for your business. Biomass boilers may be a fantastic choice for your business. Replacing your old, uneconomical boilers with new a new Biomass solutions will not only increase efficiency by upto 80% and reduce running costs, but your business may be elligible for recieving large government subsidies. Get in touch for a FREE consultation today and discuss the cost saving benefits a Biomass boiler system could have for your business. North West Renewables – Impeccable Service & Exceptional Craftsmanship Guaranteed. North West Renewables has been built on the princles of amazing service, excellent workmanship and attention to detail. It’s these core beliefs that have drove our business forward and what keeps our clients coming back time after time. We offer a nationwide service so your business can take advantage of our knowledge and skillset no matter where you are located in the UK. Each and every one of our luxury bathrooms is designed and installed with the upmost attention to detail. We pride ourselves on delivering bespoke bathrooms for our clients. We listen to your needs and tailor your new bathroom to your style and requirements, keeping you updated every step of the way. Impeccable service is at the heart of our business and our aim is to design and fit luxury bathroom than not only meet your needs but exceed your expectations. If you are looking for a truly bespoke bathroom, get in touch today. We would love to hear from you. North West Renewables has recieved accreditations from leading industry names. Gas Safe is the official gas registration body for the United Kingdom. Company registration number: 544444. Water Safe is an online register and search facility of approved plumbing contractors working in the UK. Qualified plumbers help to keep water supplies safe by ensuring plumbing systems inside customers’ properties are installed correctly and comply with the Water Supply Water Fittings Regulations and Byelaws. Website Designed & Powered By DLS Web Design.